This is the first book to provide a comprehensive and state-of-the-art introduction to the novel and fast-evolving topic of in-situ produced cosmogenic nuclides. It presents an accessible introduction to the theoretical foundations, with explanations of relevant concepts starting at a basic level and building in sophistication. It incorporates, and draws on, methodological discussions and advances achieved within the international CRONUS (Cosmic-Ray Produced Nuclide Systematics) networks. Practical aspects such as sampling, analytical methods and data-interpretation are discussed in detail and an essential sampling checklist is provided. The full range of cosmogenic isotopes is covered and a wide spectrum of in-situ applications are described and illustrated with specific and generic examples of exposure dating, burial dating, erosion and uplift rates and process model verification. 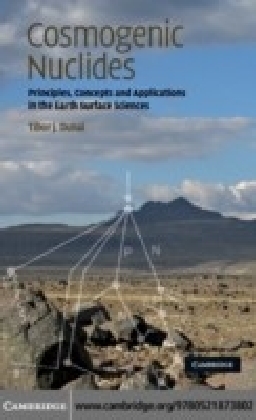 Graduate students and experienced practitioners will find this book a vital source of information on the background concepts and practical applications in geomorphology, geography, soil-science, and geology.